Everyone hail to the pumpkin king! 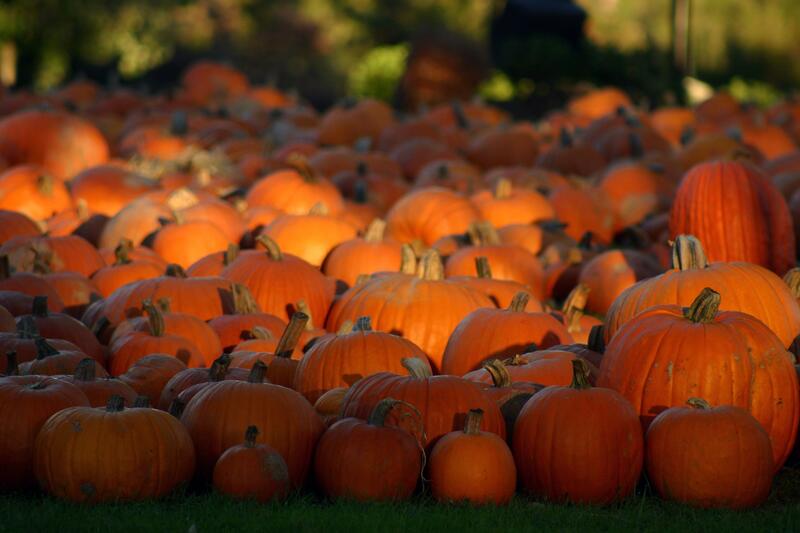 The holiday of candy, costumes, crazily scaring people — and best of all, PUMPKINS!!! is upon us, and you should be celebrating! Not all of us get to dress up to the nines and go beg for candy anymore, but that doesn't mean your phone can't get a costume! There are lots of ways to dress up a phone without getting tacky cases, and that's why we're bringing you a variety of sweet and simple wallpapers that remind us that not only is Halloween here, but it's for more than just horror shows. I think we can all agree it doesn't get more adorably Halloween than a little black cat with a jack-o-lantern. Now, there are two things you should know about this wallpaper: first, this is a paid wallpaper, and I have no problem paying for it because LOOK AT THOSE EYES! Second, if you're a Chromebook user, it also comes as an adorable Chrome theme. Just be careful looking at those eyes. They will cut deep into your soul and drag the biggest AWWW out of you. This brighter, more nostalgic take on the Halloween black cat comes from the outrageously talented Adam Grason, who has done beautiful work for companies like Google and Disney. This festive piece features a black and white cat posing inside a jack-o-lantern carved with an adorable cartoon face. While the original may work for 16x9 phones, in the era of the tall phone, we've given you little bit more leeway by extending the orange background. This is Halloween, this is Halloween! Pumpkins scream in the dead of night! I sing this to my pumpkins as I carry them into my house to gut them. Jack is the Pumpkin King, and his lovely, skeletal grin has graced many a pumpkin. This dark wallpaper lets Jack share that skeletal grin with your home screen. There are Pokemon that look like pumpkins because of course there are. And look at the Pumpkaboo. Aren't they just the end of all cuteness? I'd be scared to own one, though, because I'd be afraid it would hide next to the pumpkins I intend to carve. I'd also be afraid of traumatizing it by gutting a bunch of things that look like it and then baking and eating their guts. Backdrops is a massive wallpaper app that features hundreds upon hundreds of wallpapers from artists all around the world, and it should come as no surprise that several of the wallpapers within the app are spooky, such as "Devil's Night," "Dead Shed," and "Within the Woods." Other wallpapers like "Pumpkin Spice" take on the lighter side of the haunted holiday. No, I'm not drooling. Shut up… Okay, I've tooted my horn about my pumpkin seeds, and I know the question on all of your minds: how do I make them? Well, here's my secret: I brine them. After I cut open a pumpkin, like the ones on this wallpaper, I give the seeds a rinse and then brine them. After a few hours (usually overnight), I drain the seeds and dry them back out until they're dry and thirsty for the butter and pickling salt. Then I bake them at 320 degrees. The more nostalgic Trick or Treat wallpaper is a holiday favorite of mine, but on my Pixelbook, it's the Pumpkin paper theme all day! Backdrops has a great variety of creepy, creepy wallpapers, and once Nov. 1 rolls around, there are plenty of Christmas wallpapers to switch over to!